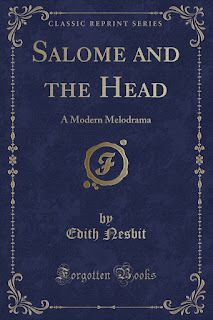 "What is Salome's dance without the head -- the head of love and horror?" 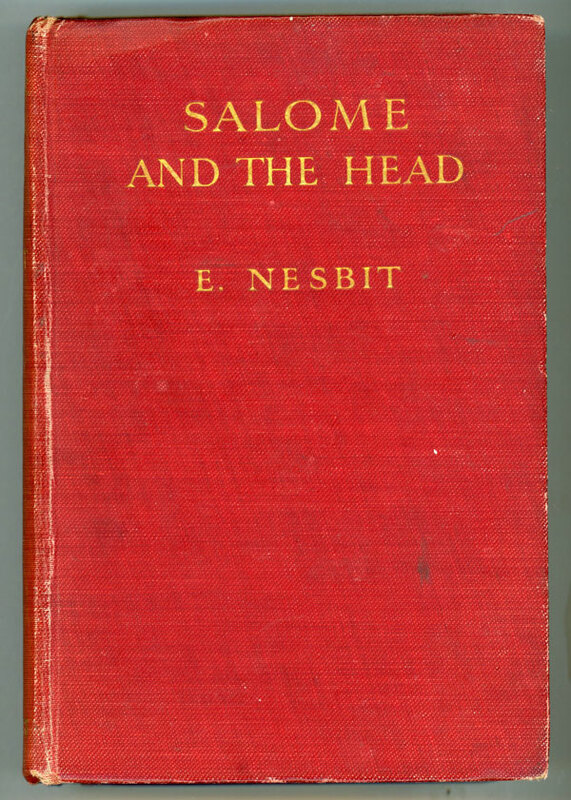 Not Victorian but published not too long into the Edwardian period, Nesbit's Salome and the Head is about as far from her children's stories as you can get. The "modern melodrama" promised in its subtitle comes from elements of crime, sensation, and romance found in this story about a young woman by the name of Sandra Mundy. "He dined with the Browns -- and the talk was of Miss Matilda Solitaire and dancing. He lunched with the Joneses -- and dancing and Miss Peggy Pirouette were served with all the courses. 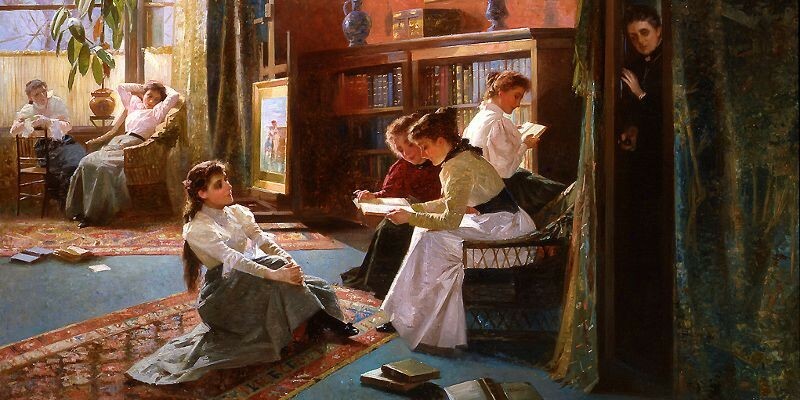 He had tea with the Robinsons -- and their talk was of dancing and Dorothea Donald." "He knew better than anyone in the world, what dancing should be. He alone, in all London knew it. 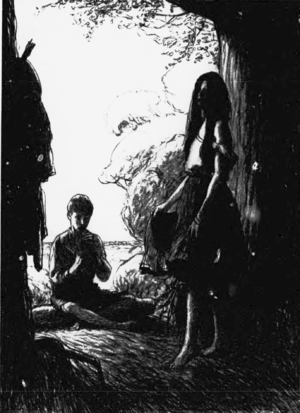 For he alone had seen a little brown dancer in a forest glade." Eventually he joins his friends to see Sylvia perform, and is completely flabbergasted to see his young friend up there on the stage. He refuses to wait for the finale in which she does the dance of Salome, and leaves the theater. He discovers that she is a complete cypher -- no one knows where she lives, no one's ever spoken to her, and she will give neither interview nor autograph. From then on solving "the mystery of Sylvia" becomes his "object in life." I get that so far this all sounds like the stuff romance novels are made from, but trust me, that idea is quickly dispelled as the story moves past this point. "the chief among ten thousand, -- strong, self-reliant, brave. All her life's training had been a training in self-reliance, in strength, in courage." Men have consistently tried to control her life, but she isn't having it. She's a woman "with a vein of hardness in her, running beside the vein of romance." Sandra has no qualms exercising this "hardness," and she is the least likely woman to allow herself to become a victim. While she's a powerful example of an independent female, it's the men here who really come under scrutiny. One more thing: I started looking into this book, and discovered that there is surprisingly very little written about it. 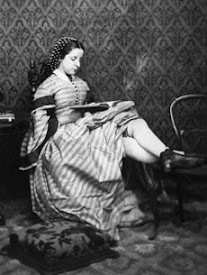 What I did find though was that according to scholar Amelia Rutledge in Thompson's Victorian Women Writers and the Woman Question, Sandra's career on the stage was modeled after that of dancer Maud Allan. 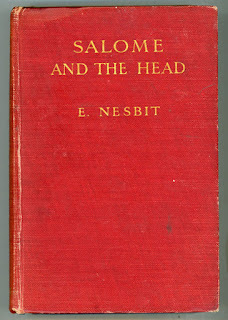 (233) Allan, it seems, had seen a performance of Oscar Wilde's play Salome and was inspired to create her own version of the character in dance, premiering her Salome in Vienna in 1906. In 1908, according to the blogger at Faithful Readers, Allan gave "265 performances of "Vision of Salome," making five hundred pounds a week while filling the "1700-seat Palace Theatre from March through November." 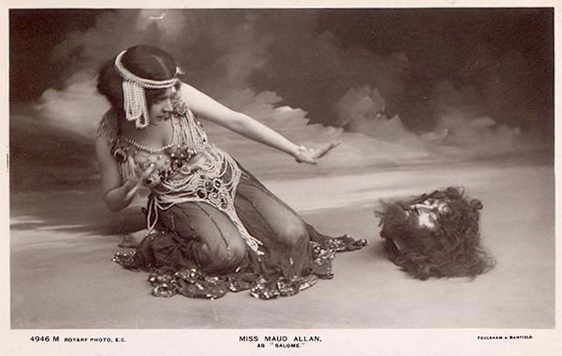 It is well worth jumping over to that blog where the author has done a tremendous job with Maud Allan's Salome performance, including photos. 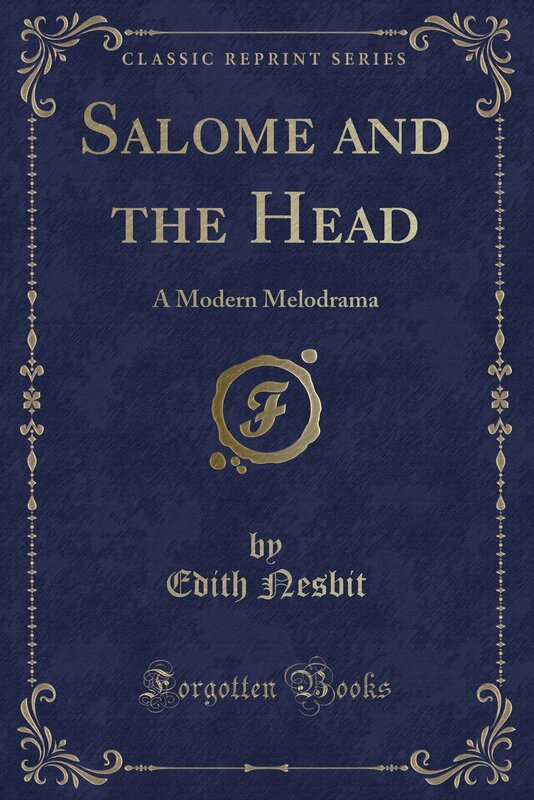 As I said at the beginning of this post, Salome and the Head is about as far from the author's children's fiction as one can imagine. This is my first Nesbit novel so I have no idea about her work other than this book and her ghostly/supernatural tales (which are just great by the way), but I'm definitely up for another. Yes, it is crazy melodrama but getting beneath the surface of things there's a lot to discover here.